Bernard Bernatonis, a friend of the Burnisky Family sent me some photos. Bernard is the son of Frank Bernatonis, and a friend of Joseph Petrusky. 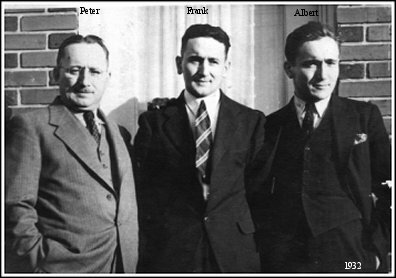 Here is a photo of Frank Bernatonis with his two brothers, Peter on the left and Albert on the right. It probably was taken at grandma Antanina’s funeral in 1939. Are these the boys of Johannes Bernatonas and Anna Kurmelavjciene that witnessed Anthony and Anna’s Wedding in 1902? 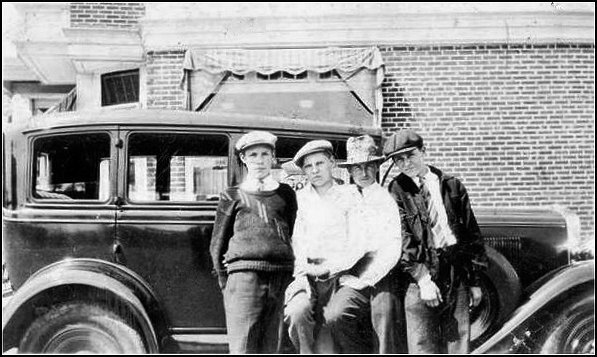 Pete Bertonis 2nd from Right. 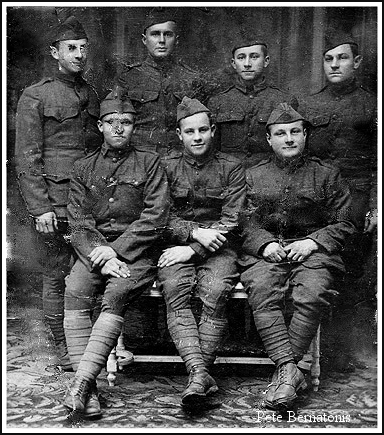 Third from right is believed to be Joseph Petrusky, our Joe’s dad, about 1917. 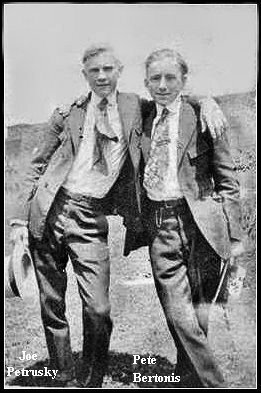 Pete Bertonis on right and our Joe’s dad, Joseph Petrusky on left, about 1917. This would have to be before Pete went to Europe in the Army, WW1. And Pete went to War all right – here he is ready for WWI, bottom right. 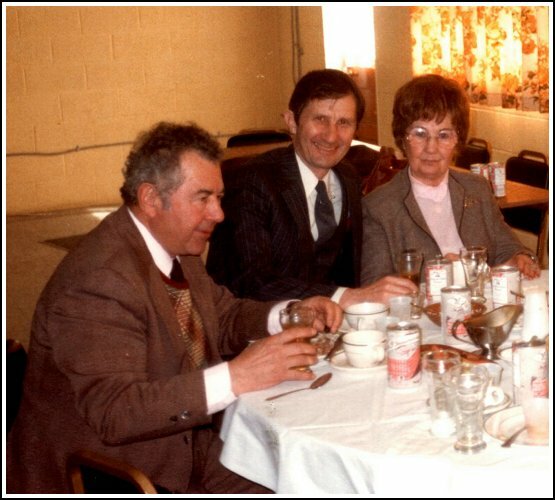 And here is our Joseph, with his Mom Helen Burnisky Petrosky with Jupes Zefferi, Bernard’s Uncle, husband of his Aunt Anna, at Frank Bernatonis’s funeral reception in Feb 1985. This entry was posted in Bernatonis Family, Helen Burnisky, Joseph Petrosky Jr. Bookmark the permalink. The witness to Anthony and Anna’s wedding was John Bernatonis, a tavern owner notorious in Shenandoah, sponsor of many immigrant arrivals and naturalizations, kept a boarding house and even ran for Mayor of Shenandoah.